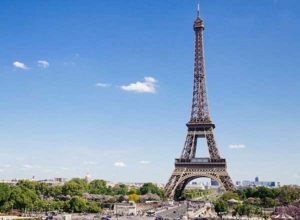 From cheap last minute weekends in Paris to amazing 5 star luxury breaks for special occasions these value for money flight plus hotel packages allow you to easily combine flights, hotels and more to create your perfect tailor-made Paris city break. Optional Extras: Pre-book transfers, sightseeing and nightlife packages like a Bateaux Parisiens dinner cruise or a cabaret show at The Lido with dinner and champagne. Paris, the cosmopolitan capital of France is one of Europe’s most popular city break destinations and has been awarded No. 2 in TripAdvisor’s Top 25 Destinations in the World. Located in the north of France on the river Seine it has the well deserved reputation of being the most beautiful and romantic of all cities, brimming with historic associations and remaining vastly influential in the realms of culture, art, fashion, food and design. Paris is renowned for it’s fine cuisine, but it is not only the superb food that entices visitors to Paris. It is a city packed with art, culture, history, fashion and top designer shops together with some of the world’s most visited attractions. Eiffel Tower: Standing at 324 metres high and offering stunning daytime and evening views of the city it is top of most visitors to do list. You can either climb the 674 steps to the summit or take the lifts. Louvre Museum: The largest musuem in the World containing over 35,000 treasures including works by Picasso, Monet and Van Gogh. Sacre Coeur: A church perched on top of the highest point in Paris. Behind the church is the artists’ area, in front are spectacular views of the whole city. Palace of Versailles: This former Royal Palace which is undoubtedly one of the most beautiful buildings in France is now home to the Museum of France’s history. It is located about 12 miles from the city centre and easily reached by train. Shopping: Paris is home to the world’s finest and most luxurious fashion designers and cosmetics, such as Louis Vuitton, Chanel, Dior, Yves Saint-Laurent, Guerlain, Lancôme, L’Oréal and Clarins. With elegant boutiques and amazing department stores you can easily spend hours shopping. As you would expect in a large cosmopolitan city, whatever you enjoy doing in the evening it will be available. Be dazzled by the showgirls at the Moulin Rouge. 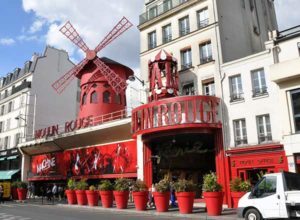 Enjoy a glass of French wine whilst people watching at one of the daytime cafes which transform into wine bars in the evening. Sample some of the finest food in the world at the numerous fine dining restaurants (reservations advised) or head off to a nighclub and dance the night away. Add attraction tickets or sightseeing tours to your booking. 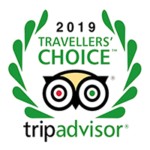 Lead in price of £159 per person was for a 2 night stay at the Campanile Maine Montparnasse (TripAdvisor Rating 4) departing London Luton on 8 June 2019 based on 2 sharing. Prices shown are for guidance only and were available at the last update. Actual price will vary depending on the departure date/time, departure airport, airline, time of booking, hotel and duration of your break.